Beware Spoilers Ahead/Read at Your Own Risk. 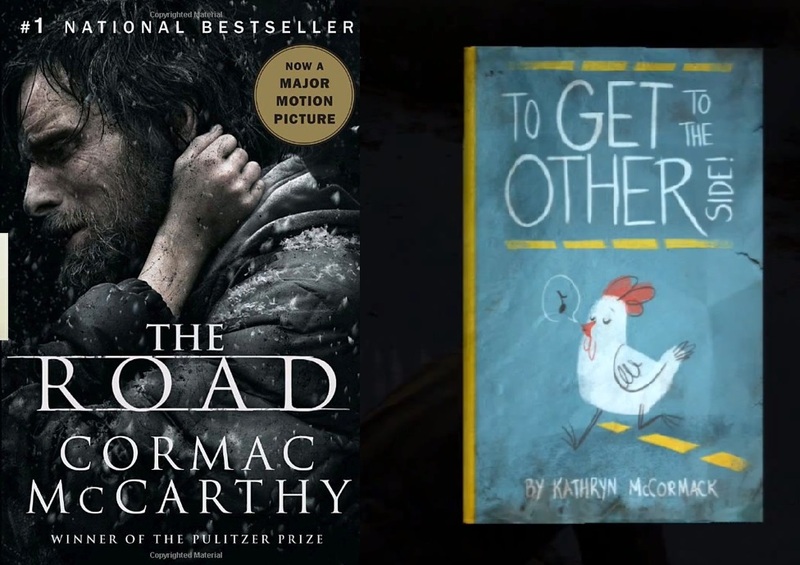 The masterpiece from Naughty Dog, The Last of Us took inspiration from a post apocalyptic novel "The Road" written by American writer Cormac McCarthy. This new bit of information comes from a hidden image in Ellie's backpack. This easter egg was discovered by Reddit user "qazwsx127", here is what he has to say about this: "Found an item in Ellies backpack during the winter section that seems to be a reference to the book, "The Road" which was a big inspiration for the story of The Last of Us." For those who want to know more about The Road Novel: "The Road is a 2006 novel by American writer Cormac McCarthy. It is a post-apocalyptic tale of a journey of a father and his young son over a period of several months, across a landscape blasted by an unspecified cataclysm that has destroyed most of civilization and, in the intervening years, almost all life on Earth. The novel was awarded the 2007 Pulitzer Prize for Fiction and the James Tait Black Memorial Prize for Fiction in 2006." The book was adapted to a film (post-apocalyptic drama) by the same name in 2009, directed by John Hillcoat, starring Viggo Mortensen and Kodi Smit-McPhee.